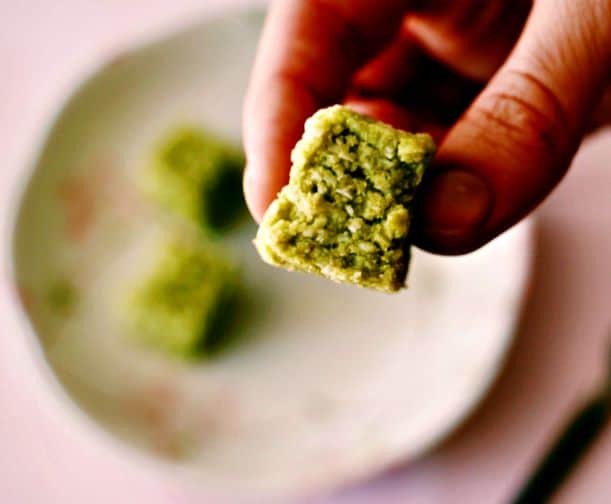 Raw Coconut Matcha Fudge Bites are not your typical fudge, in fact they are not fudge at all 😛 but they taste fudgie, so I am going with it! If you are at all savvy with the whole food world, you will know that matcha green tea is all the rage right now. 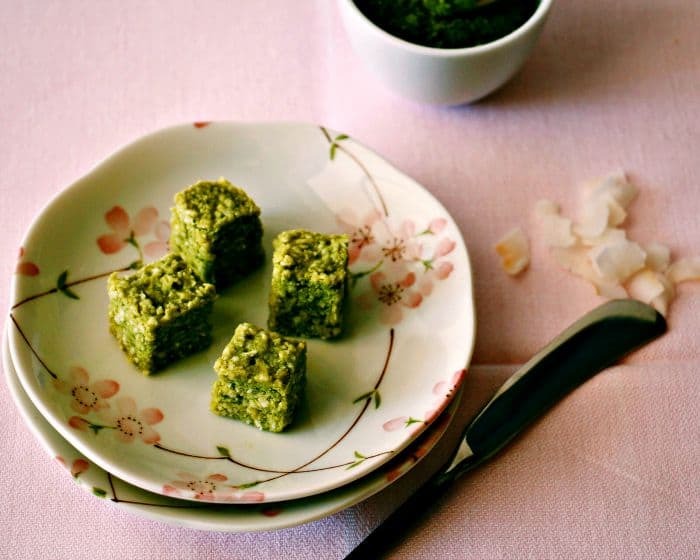 Seriously, people are putting matcha in everything! I, on the other hand, had only a vague awareness of what it was until a couple of months ago. Since becoming privy to the greatness that is matcha, I tried resisting the urge to jump on that bandwagon…But if you have looked around the blog at all, you will know that clearly I have succumbed. I joined a new book club, and they had their first meeting in this little hipster cafe, which boasted no less than 5 matcha flavoured concoctions. Being super excited about being in the real world for an hour by myself, I decided to channel my inner cool-girl (she is very well hidden) and try one of these delicacies. I had a simple Matcha Latte (which I have since recreated at home, and is now my new energy-boosting best friend) sweetened with honey, and oh so comforting. Now I am a lover. And I too add it to everything (sorry). Including these delicious little raw coconut bites. Have you bought into the matcha craze yet? What do you think? I would love to hear about some of the ways you use it in your everyday recipes! Happy eating. I love heathy treats like this but what is matcha?? I haven’t tried it yet and clearly I’m behind the ball! Haha apparently I wasn’t the only one behind the ball with the whole matcha craze! 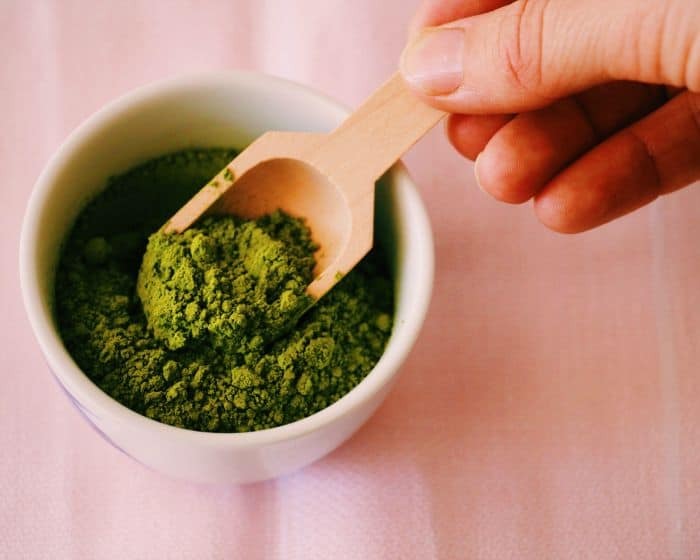 It’s a powdered green tea that boasts increased energy, metabolism boosts, better skin health etc – its also pretty delicious, and has been pretty popular in matcha lattes, smoothies and in baking. 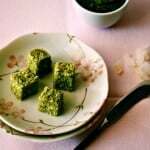 I’ve never heard about matcha before reading your recipe, but I have to try it. It looks delicious and it’s healthy and easy to make. Thanks for sharing. What an interesting no-cook fudge recipe! I usually think chocolate when I hear fudge, so I love this unique combo of ingredients! LOVE healthy (and easy to make) treats like this! I must say, I’ve only had matcha a few times, but I definitely need to explore it a bit more — it’s so tasty! It is delicious, I have been using it a lot lately, but it took me a while to get a bit confident with adding it to anything other than drinks! I’ve never heard of matcha (no hipster me!) but I love coconut, so these look really interesting! Its so funny, there are so many people out there that are totally obsessed, but since posting this, I realise there are just as many people that have no idea what it is! But I bet now that you have heard of it, you will notice it everywhere! KitKat even just brought out a matcha flavour for their special range! These sound really interesting, and they look super easy to make! I love some matcha! Looks delicious! Healthy desserts, I love it! I have yet to try matcha, but heard very good things about it. 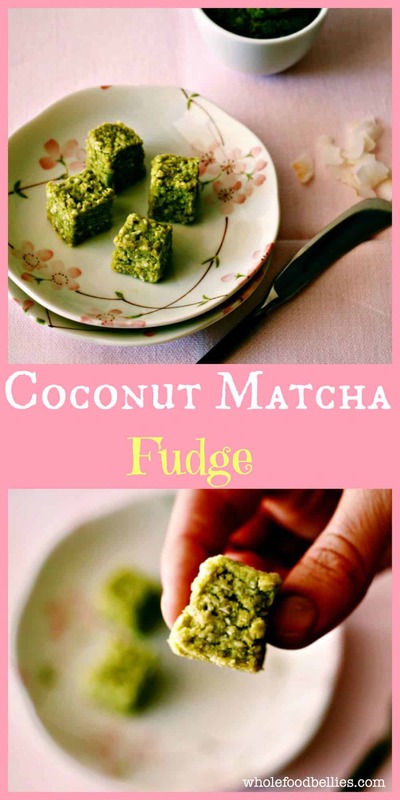 I weirdly don’t know what Matcha is… but now I’m dying to get some and make your coconut bites. Looks sooo good! I LOVE matcha! This fudge looks so delicious. Is there a specific brand of matcha you like more than others? I have never heard of matcha but after seeing this, I am curious about it. The fudge looks really good. Thank You for sharing!